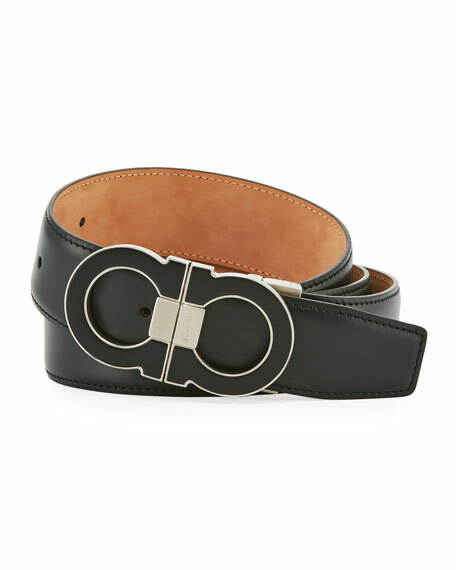 Salvatore Ferragamo belt in matte calfskin leather. Oversized silvertone and enamel Gancini buckle with logo-engraved center bar. For in-store inquiries, use sku #2310469.